Reserve 1/4 cup yogurt for topping. Divide remaining yogurt among 4 (8-oz) glasses or dessert dishes. 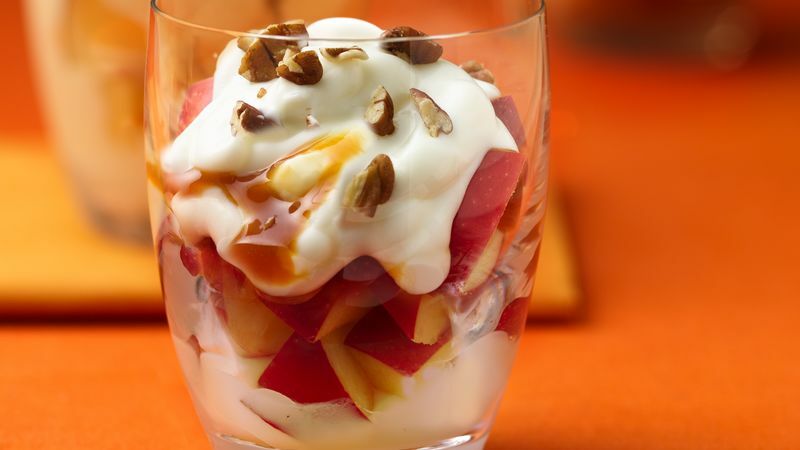 Spoon 1/2 cup of the apple chunks over yogurt in each glass. Top each with 1 tablespoon of the remaining yogurt. Spoon 1 tablespoon caramel topping over yogurt. Sprinkle pecans over each parfait. Serve immediately.